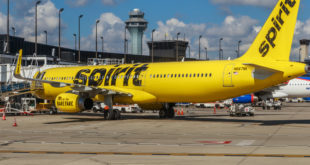 Steve Chapman at the Tribune was on the fated flight where a man shoved a woman’s reclining seat forward and she threw a drink on him. While he definitely comes down harder on the man, he expresses exasperation at both of them. But if being stuck with a reclining seat in your face bothers you so much, let me bring out the world’s smallest violin to play a microscopic sad song. Your ancestors probably came across the ocean in steerage, crammed into dim spaces with smelly strangers for weeks at a time, fighting off rats and scurvy. I took a family car ride to Buffalo from New York City once. I was in the middle seat of one of those sedans that still had the middle seat bump. And my sister and brother tower over me. I guess that’s why I don’t mind flying regional jets so much. And you? You have to endure modestly cramped quarters for a few hours to be transported vast distances they would have needed weeks or months to cover. Boo friggin’ hoo. Check out the whole thing and let me know your thoughts. Would you have reacted the way the woman did? Were they both acting like children? Are you grateful not to be in a wagon, taking three months to make it to Oregon? Next Have Beauty Boxes Jumped the Shark(nado)? The guy was acting like a complete jackass that shouldn’t be allowed on United (or any other airline for that matter) and the woman acted like a child.